In case you are in the market looking for a luxury car that will not only give you the convenience you need when moving from one place to another but also give you a sense of social class, then Mercedes-Benz is doubtlessly at the helm of your priority list. With that, you are probably looking for a credible company that can give you reliable Mercedes Benz pricing so that you can proceed with your purchase based on your needs. However, the budget is the most critical factor to consider when looking for a Mercedes-Benz that will give you world-class performance, luxury, safety, and service. Just like any other product, it is important to note that there is a range of market factors that affect the cost of Mercedes-Benz in your local market. This means that the price of this product is not the same in the whole country. If you are in doubt, compare the pricing of the Mercedes-Benz A180 City Edition in different parts of the country and be the judge! This bears the question, what are these factors that affect the prices of these cars? To get the ultimate answer to this question, sit back, grab your favorite drink, and keep reading! When you buy a car in Australia, just like in any other part of the world, you will need to pay taxes. More often than not, the seller will not add them to the selling price until you make the purchase. Since a Mercedes Benz is a luxury car, it has a luxury car tax, popularly known as the LCT. 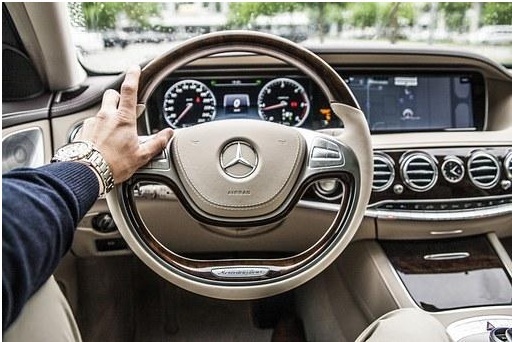 For example, if you buy your Benz for $100,000, you will need to pay an LCT of $10,000 on the downside. Also, you will also need to pay a stamp tax. The cost of both luxury car tax and stamp tax will change depending on the state you are based. Just like real estate, the value of a new or used Mercedes-Benz is a function of location. Weird, right? Location determines the cost of a Benz for various reasons. First, if people are selling this luxury vehicle in an area where there are no Mercedes-Benz, this means that the balance of supply and demand will be affected. Secondly, some states will have more taxes than others, which means that the cost will vary. Finally, it is easier to buy or sell a vehicle in a particular state. If it is easier, then means that the car will be worth more thanks to the availability of many buyers. Even the best car online pricing company will tell you that the state and age of the vehicle you want to buy will have a direct impact on its cost. Are you buying a new Mercedes-Benz, or do you want one that has been used either locally or in another country? What is the year of manufacture of the Benz you want to purchase? Remember, newer models that have sophisticated features will cost more than older ones. Are you still looking for the best Mercedes-Benz to buy? Check prices here, and make an informed decision. Good luck in your shopping!